Harvesting and storing herbs – whether for use in cooking or as medicine – will mean the difference between a dead plant and an effective one. 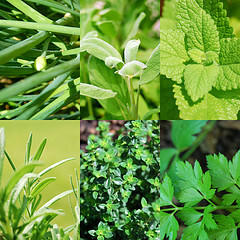 These tips will help you harvest those fall herbs and properly prepare them for future use. There are many options for storing herbs for later use, including drying, freezing, and canning. Refrigeration works for shorter storing times, and you can also infuse the herbs in jellies or jams. Another interesting method of storing sturdy herbs, such as rosemary, sage, thyme, and oregano, is to break the plants into small pieces and place within a clean, empty ice cube tray. You’ll probably want to ensure that each herb is in a separate compartment, unless you are planning for a specific meal. After each compartment is full, top off with olive oil and freeze. Once solid, store in a freezer-safe container or bag and simply remove and use as needed for cooking. To dry herbs and flowers, you can dry the entire plant by hanging it from its roots in a dry, shaded area until stiff before separating and storing. For more delicate plants, you can lay them on a screen in the sunlight to dry. Be sure the area is sheltered from the wind and turn the plants occasionally to ensure uniform drying. You can use a dehydrator for faster drying, particularly for berries, thicker leaves, and plants with a tendency to mold. Canning is best for roots or other thick plants. Simply boil briefly – about three minutes – and then seal in canning jars. For jellies or jams, you can use any number of herbs, but plan on using a lot. Try sage, thyme, marjoram, or cilantro. You’ll need about two cups, cleaned and chopped. Put them in a medium saucepan and crush them with a pestle (or simply use the bottom of a glass), then add two cups of water. Bring to a quick boil and remove from heat. Allow the mixture to steep for approximately fifteen minutes. Strain one and a half cups of the liquid into another large saucepan. You may need to strain twice to remove the pieces. Add two tablespoons of distilled vinegar, a pinch of salt, and three and a half cups of sugar. Follow the directions on your pectin package, preferably liquid pectin. After the liquid returns to a hard boil for a solid minute, remove the pan from your heat source. Remove the foam before pouring the liquid into your jars and sealing. Be sure to leave space to allow for expanding.